Keep your dog safely at home during fireworks season. There is a lot to think about when caring for your dog in summer--with the heat, keeping them hydrated and doing your walks in the morning or evening. Making sure your dog isn't in a car in the sun with windows up, even for a few moments. Dangers of bee stings, snakes and poisonous plants can keep you on your toes. Now with the fourth of July approaching be mindful of dogs reactions to loud noises. This goes for thunderstorms as well but many dogs react with fear to fireworks. Summer is fast approaching and it’s a time when dogs have fun romping around outside. Aa your dog plays outdoors make sure you are aware of your dogs surroundings. Make sure they play in either a safely fenced in yard or otherwise play area such as a dog park. We know we love seeing our dogs happy off leash but if not in a prescribed area it’s not only against the law it can be dangerous to your dog. Unsupervised of leash can spell trouble for your dog. Many are not aware that summer flowers and plants can be toxic to your dog. Many common plants can cause vomiting, diarrhea, seizures and more. It's back--the 9th annual fundraiser for All Breed Rescue & Training. Once again we're gearing up to help ABRT and you can help us! This year we again have 2 ways to donate and get your dog's portrait taken: the mini session and the Calendar Competition. Mark your calendars- on Friday February 23 and Saturday February 24 and March 2 & 3 you can take part in this fun fundraiser. 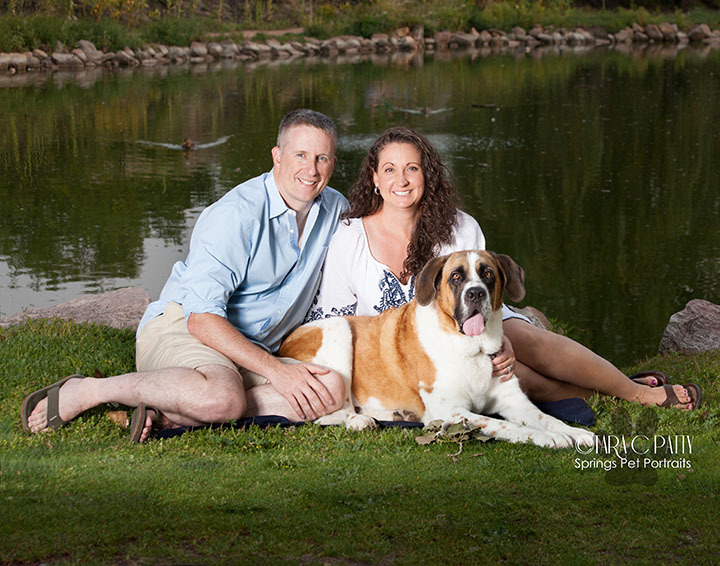 The mini session is a 15 minute photo session of you and your dog or just your dog. 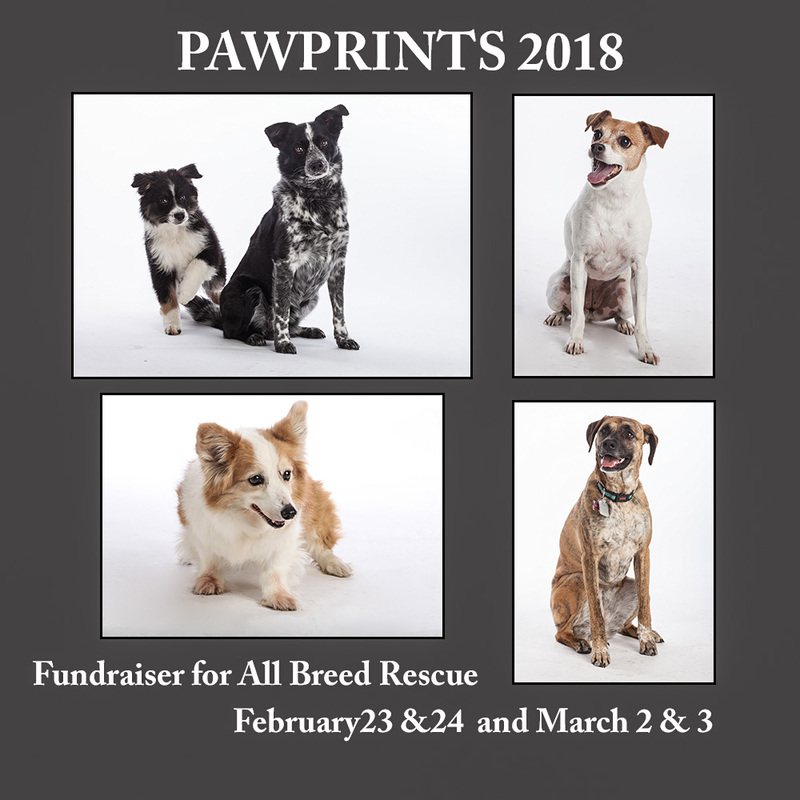 For a $40 donation to All Breed you get the mini session - which is followed by a 10 minute viewing session so you can pick out your 5x7 print and if you want order additional prints or products. There is no waiting in line with this fundraiser-you select your time slot and show up--that's it! Simba, who is 18 years old (left) with his little buddy Jake. 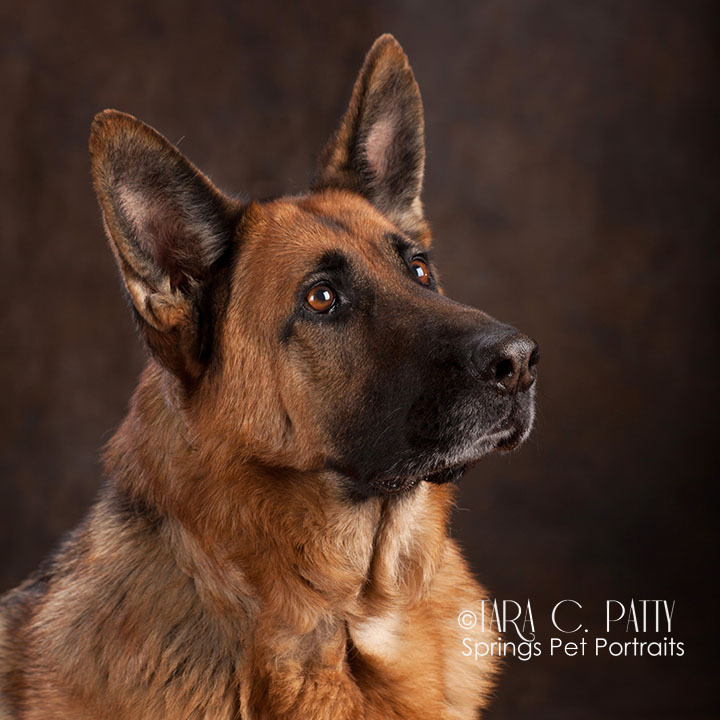 Much has been said in this blog over the years about the importance of taking your dogs portrait before it’s too late. What do we mean by too late? Not necessarily before your dog has passed away but as your dog ages their eyesight and hearing can go and walking gets difficult. You might not necessarily want to remember your dog old, blind, and hunched over so it’s best to get them in for a portrait before then if at all possible. The dog above at left is amazing- he is 18 years old and could still focus on the camera and noises in the room. He had difficulty walking but still had his wits about him. The owners friend wanted to surprise them with a portrait of his two dogs and we gladly agreed, especially since this is probably that dogs last good portrait. 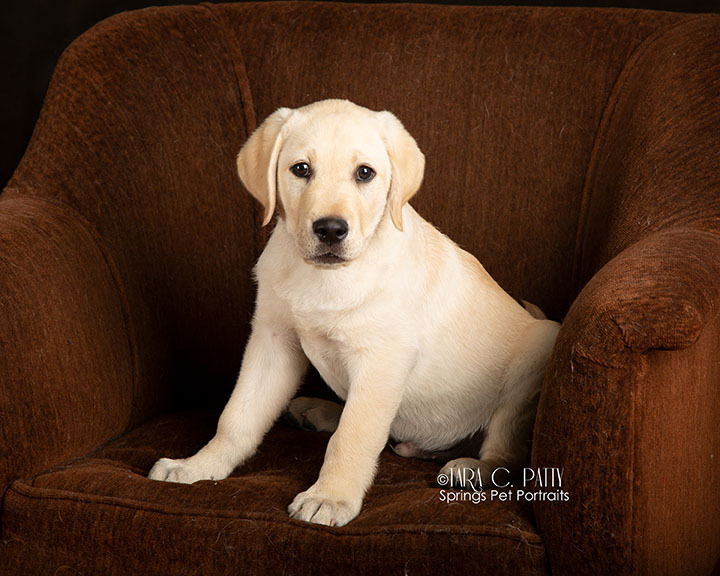 Have a puppy that you’re thinking of getting photographed? When is the right time? Well we’ve done puppies pretty early in life—think between 6 and 8 weeks old. They are cute little balls of fur at that age and they love to sleep. We did 9 bloodhound puppies for a breeder—18 pound puppies—and had to work pretty fast because like newborn babies they like to sleep a lot! Ideally between 2-4 months is great for puppy pictures. You can do earlier and get some cute sleepy shots but to have a puppy “pose” you need a little older. And having some basic commands is very helpful. The couple above wanted a “family” portrait as well as individual shots of their new English Pointer puppy. 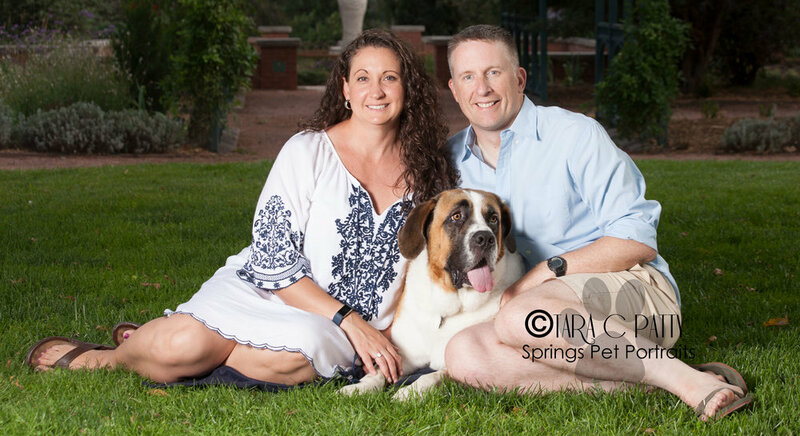 This is great as I recommend at least at some point in a dogs life to get a great shot ofd family with their pet—whether it’s one person or the whole family. It’s a great way to remember all the great times you had with your furry friend. Dogs can easily be distracted and was mentioned in the first part of Outdoor Pet Portraits. Most clients we work with prefer the undistracted environment of the studio. There aren’t birds or cats or even squirrels to content with. Even having additional people in the area can be distracting for some dogs. However some clients really prefer the outdoor look and we’re happy to accommodate them. For safety I always have the client leash the dog. Even if you have the best trained dog int he world you don’t need them dashing after an animal during the session and getting hit by a car or knocking people over. It’s just a good safety precaution to leash your dog. There are ways to pose to minimize the leash and we can also digitally remove it if necessary. Mark your calendars for Saturday October 28th for lots of fun and a Halloween Costume Contest. We’re teaming up with BamPaws Stay & Play and Bon Pet Supply to bring you a fun filled Halloween event for you and your dog (okay cats can come too!). We’ll have food, fun and games as well as the big contest. Think your dog has what it take to walk away with the Grand Prize? Well get your creativity going as it’s sure to be a stiff competition. Need help with a costume? 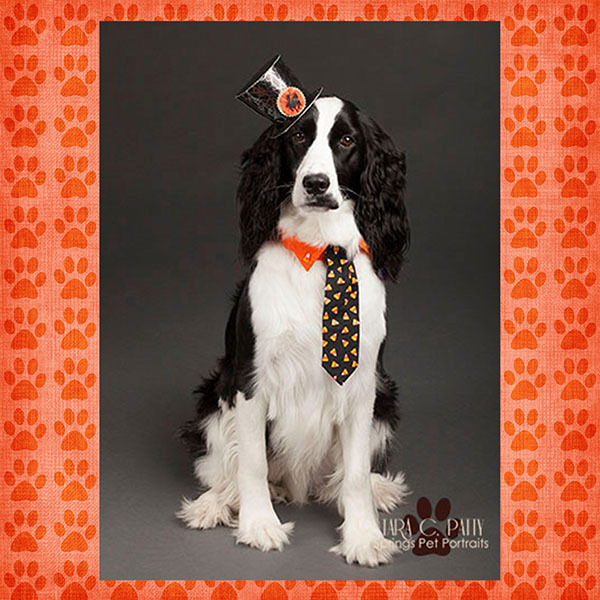 Check out Bon Pet Supply for their selection of dog costumes. The event will be at BamPaws—a brand new dog daycare and boarding facility located just south of downtown (815 S. Sierra Madre ST). Get creative then bring your dog! So mark your calendars: Saturday October 28 from 10-12. We all love our pets and want to remember them, right? 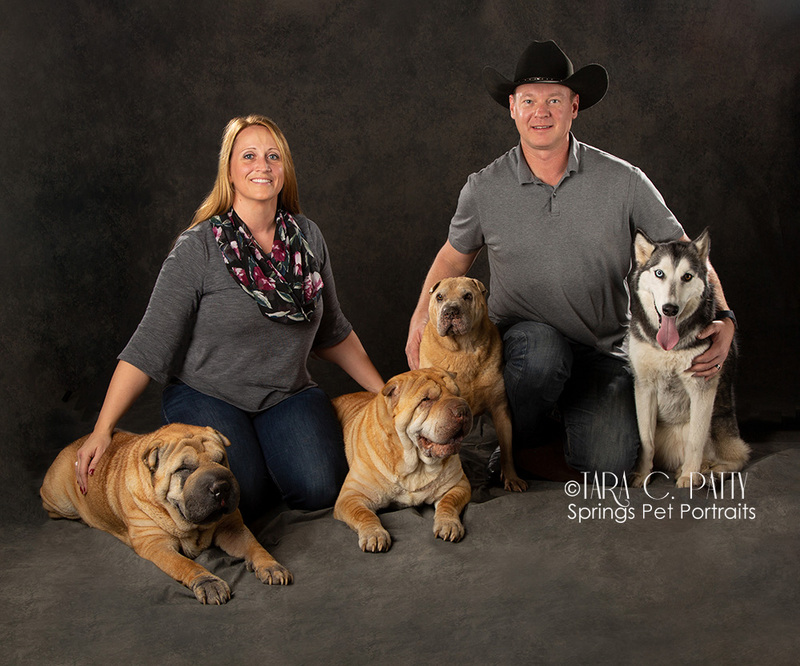 The majority of pet sessions are one of two types—you just got a new puppy or rescued a dog and want a great portrait to enjoy or your pet is aging and you’d like a portrait to remember them by. 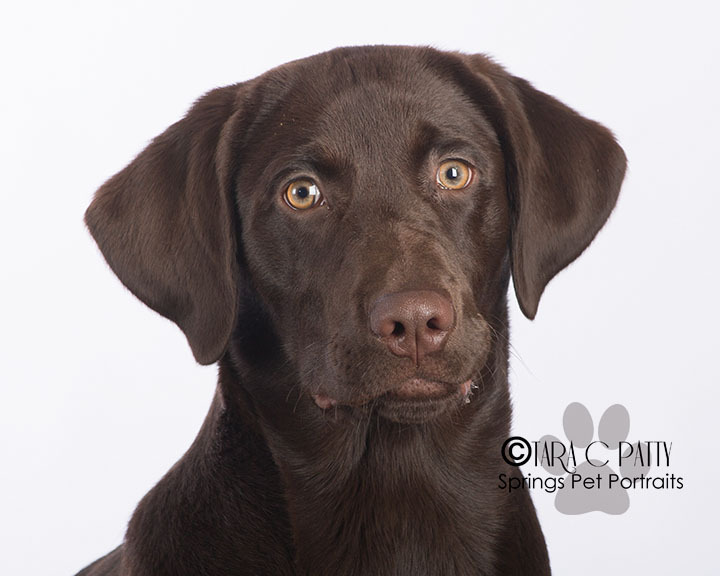 Most people prefer to wait until their pet is older then come in for a portrait. But by waiting you might just miss the chance to get this done. Sometimes life gets in the way and before you know it your dog is elderly and has trouble, walking, seeing and hearing. Do you want to remember them this way? We’ve had calls trying to get in a terminally ill animal before it’s too late and we will absolutely make room in the schedule to get your animal in in such circumstances. But why wait? Once again it’s summer and the days are hot! If you feel hot just imagine wearing a heavy fur coat in this weather. High heat is hard on your dog so please take appropriate measures to make sure your dog is safe this summer. Be sure to play with your dog and take your walks in the cooler parts of the day. I know I walk my dog extra in the early morning and then in the evening. If your dog has to be outside during the day please make sure that they have adequate shade that they can be in during the hottest parts of the day as well as plenty of water. Please don’t leave your dog in a hot car—if they need to be left make sure the car is in shade or the windows are down enough that fresh air can get inside the vehicle. In Colorado there is a law now that allows bystanders to break car windows to rescue children or pets left in a hot car. So if you don’t want your windows broken please protect your pet. Taking care of your older dog is very important. Walking, feeding and playing changes and how you approach these things can help increase your older dogs life and health. Getting a great portrait made before it’s too late allows you to enjoy it while you still have your pet. And it will be a great reminder of what they were like when they were still fairly active. Of course doing anything new increases the stress level of your dog and as they age even more so. That’s why having a a pre-session consultation is key—introducing the dog to the studio and photographer before the day of the session lowers stress. It’s important to try to get your pet’s portrait taken while they’re still relatively healthy, not having too much difficulty walking, seeing or hearing. We all know that dogs, like people can get bored—some more easily than others. And when they get bored things happen —things that will help you be able to post on the Dog Shaming website—like destroying blinds, eating shoes, socks, furniture etc. Dogs can get bored and they want to amuse themselves—play if you will. So they’ll look around for things to do while you’re gone. If you have plenty of dog toys available and maybe a doggie door for them to escape outside for awhile that can help a lot. How can you know if they’re bored? Well there are many signs like excessive barking, mischief, destructive chewing, escaping and even hyper greeting when you return. Modern Dog Magazine has a blog about how to tell when your dog is bored and what to do about it—read about it here. We all like to keep our beloved animals healthy and safe. We protect them from eating foods with artificial sweeteners and away from foods like grapes and raisins that can cause renal failure. But sometimes we don’t think about the importance of the dog food that we are feeding them day in and day out. We often assume that if we can buy it at a specialty store —whether large chains like Pet Smart or your local pet store—that the food is okay. Often times we are unaware of what’s in that food we give them. I know I’ve changed dog food to a grain free variety after the food I thought was good was subject to several recalls and lawsuits. Now I’m thinking further of a change after reading about the top foods and why they are good for your dog and why some I thought were good might not be so good after all. The people at reviews.com have looked at over 2000 dog food varieties and analyzed them in terms of content and how safe they might be for your pet. After all a healthy dog is a happy dog. Here is an in depth look at what they found out. Though dogs truly are our best friends, they can sometimes be, well, a bit weird about things. Let’s face it—our partnership with them has only lasted for twenty thousand years or so; before that, they’d had millions of years of experience under their belts. 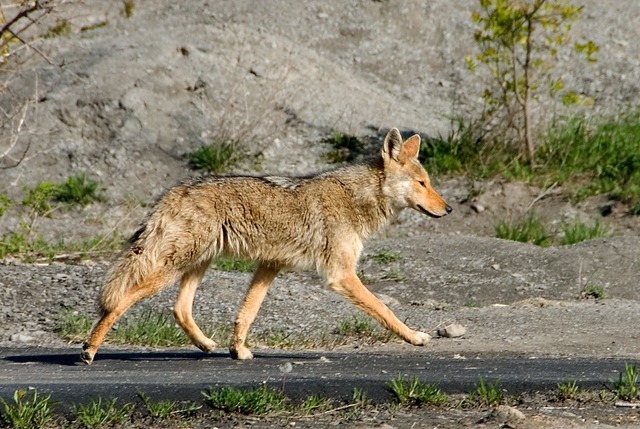 Evolutionary studies suggest that the first identifiable members of the dog family, Canidae, appeared about 40 million years ago during the Eocene epoch, with today’s modern wolf appearing nearly two million years ago. We Homo Sapiens, however, have only been around for about half a million years. The dog’s “pre-human” time created a unique species and unique behaviors that some of us humans might find a bit odd.